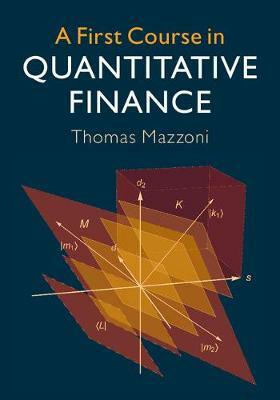 This new and exciting book offers a fresh approach to quantitative finance and utilises novel features, including stereoscopic images which permit 3D visualisation of complex subjects without the need for additional tools. Offering an integrated approach to the subject, A First Course in Quantitative Finance introduces students to the architecture of complete financial markets before exploring the concepts and models of modern portfolio theory, derivative pricing and fixed income products in both complete and incomplete market settings. Subjects are organised throughout in a way that encourages a gradual and parallel learning process of both the economic concepts and their mathematical descriptions, framed by additional perspectives from classical utility theory, financial economics and behavioural finance. Suitable for postgraduate students studying courses in quantitative finance, financial engineering and financial econometrics as part of an economics, finance, econometric or mathematics program, this book contains all necessary theoretical and mathematical concepts and numerical methods, as well as the necessary programming code for porting algorithms onto a computer.